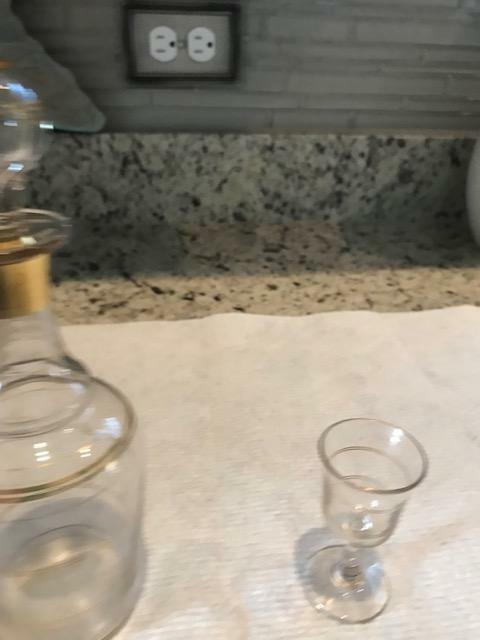 2 small bottles with gold trim. 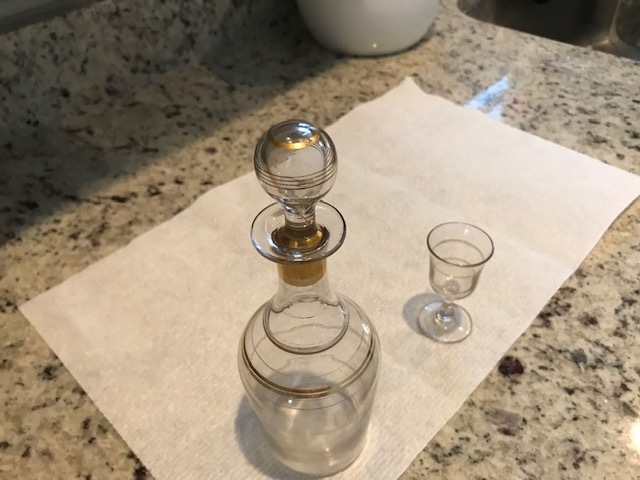 One matching apertif glass with gold trim. 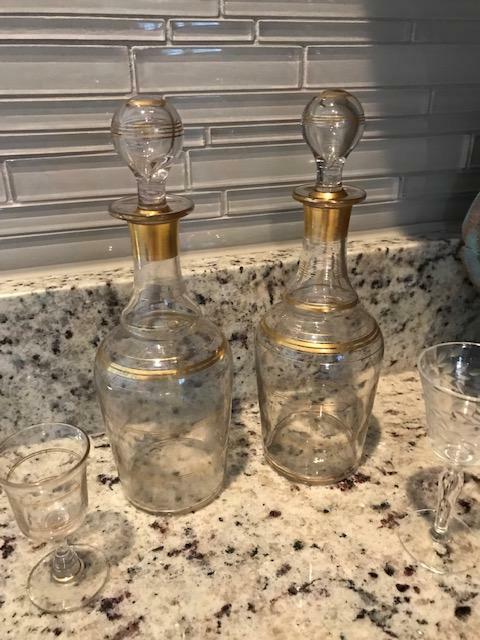 I know they came from France and are very old, I'm looking for more info on what they are and what they were used for. 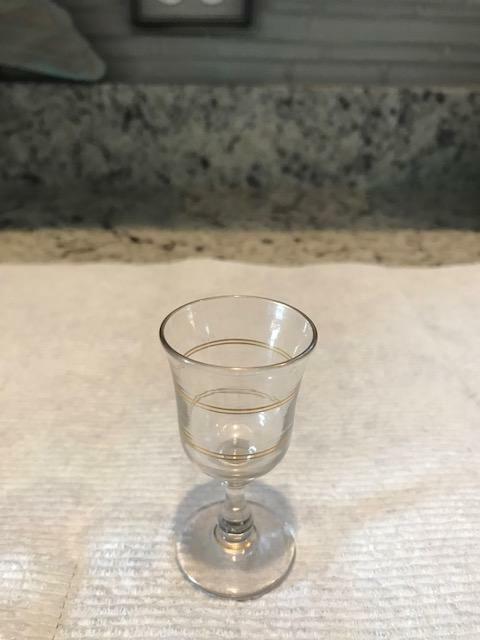 small makers mark on bottom- hard to read.